My youngest daughter just loves using bath bombs in her bath. If she had her way there would be a basket full of them in our bathroom for her to use every time she had a bath. But the reality is there is a cost to bath bombs and it can be pricey. I searched the internet looking for a recipe to make that was not expensive so that we both could enjoy this little luxury of having bath bombs in the tub when we wanted. 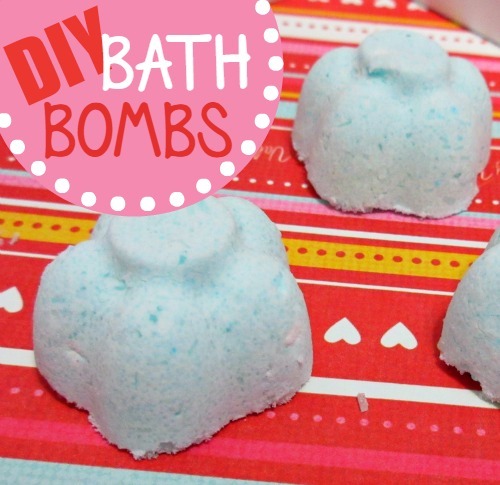 After a long search, I realized that making bath bombs might not be as easy as I thought. I could only find recipes that included the weight and without a scale, this wasn't going to be an option for me. So I tried my best to come up with a measurement that worked with what I already had on hand. 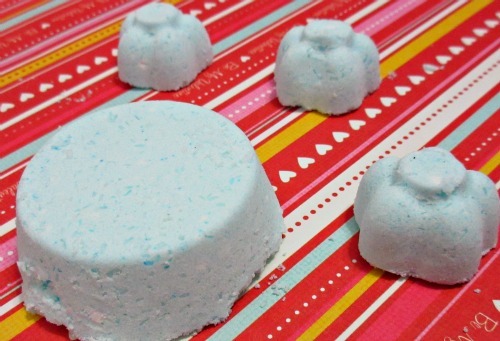 To make my bath bombs I used an IKEA flower ice cube tray and a metal muffin tin. Both worked really well and I was very happy with how they turned out. The only place I found citric acid was at a local soap supply store and it was very cost effective. I know they do sell it on Amazon but I wanted to pick up all my supplies locally. Mix dry and wet ingredients in a bowl together to combine. I did find I had to add a couple drops of water before adding the citric acid to make sure they bind together and hold their shape. It is best to mix the citric acid while wearing protective gloves or wooden spoon. Once mixed add in the 1 cup of citric acid you first measured. Add the mixture into the molds that you have on hand. An ice cube tray would work fine or it is almost easter egg time so you could pick up some of the empty eggs and use them from molds. Let them sit in molds for about 2 hours before taking out to dry overnight. I am sure my pricing on the essential oil is high but I already had it on hand so I couldn't remember how much I paid for it. 1. Using the metal muffin tins make it a pain to get the bath bombs out so I recommend the silicone trays if you have them just remember to let them dry for a few hours on the counter before you move them and try to get them out. 3. I used Ylang Ylang as my essential oil in this first batch I made but you can easily change it up to your liking. I also used blue food colouring in mine for that hint of blue. What DIY gifts are you making for your family and friends this year?